There is growing concern over the inordinate delay in the implementation of devolution of power from central government to provincial and metropolitan councils. The Constitution proposes devolving a significant chunk of the National Budget to 10 provincial governments, and also proposes handing them responsibility for basic healthcare, early education, local roads, and other infrastructure. This means taxpayers will be living next to the people spending — or stealing — their money, and brings greater accountability for resources. A briefing session on devolution attended by officials from the Centre for Community Development Zimbabwe (CCDZ), Harare Residents Trust (HRT) and legislators in the parliamentary portfolio committee on local government, slammed the inordinate delay, and said that unless everyone is involved in the process and push for its implementation, provincial and metropolitan councils will never come into force. CCDZ director Philip Pasirayi said the citizens who voted for provincial and metropolitan councils during the referendum are expecting these institutions to be established and operationalised so that they can start to spearhead development in the provinces and districts. Pasirayi said the councils are important institutions that will bring government closer to the people and allow citizens to fully participate in state affairs at the local level. “There is need now on the part of government to move with speed and win over sceptics through implementation of the constitutional provisions on devolution and establish the provincial and metropolitan councils without further delay. 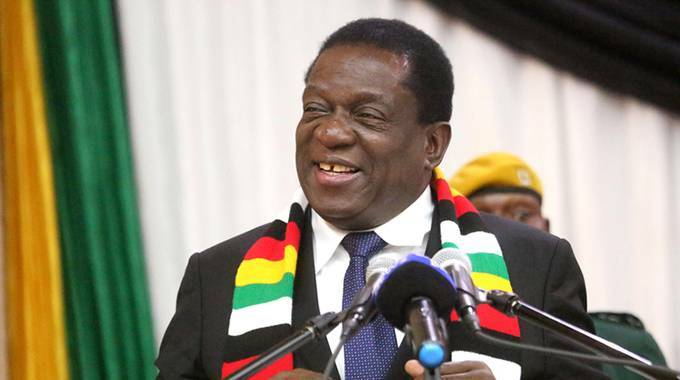 “The appointment of provincial affairs ministers by President Emmerson Mnangagwa has however cast further doubt on the new administration’s sincerity in implementing devolution,” Pasirayi said. Shumba emphasised that residents have been confronted with a lot of political hostility from Local Government ministry officials who told them off on the basis that devolution was initiated by the Movement for Democratic Change and they could not be bothered to act fast. “We have consistent engagement with various local government actors who have been very receptive of the need to push for the implementation of devolution. When devolution is implemented, it is not a favour that legislators are doing for residents but it is parliamentarians’ duty as enshrined in the Constitution and people should not beg them,” Shumba said. Mabvuku legislator James Chidakwa said academic research into the matter should be put in the public domain. He said such information is very important as it buttresses the need for devolution while also highlighting key areas that need revision.